We’re offering our business customers the 20Mbps TIME Fibre Business Internet plan at a discounted price of RM188 in perpetuity. This promo is valid from 1 May 2018 to 31 May 2019. New subscriptions to TIME Fibre Business Internet are eligible. During this period, can I enjoy other promotions / offers from TIME as well? You are eligible for only one (1) promo at any time. Once submitted, you may not change or select other promos. You may subscribe via TIME-authorised dealers or visit www.time.com.my to subscribe online. How do I get the promotion once I have subscribed to the service? Once your service has been activated, your broadband subscription fee will reflect the RM50 discount on your monthly bill. However, other charges such as voice calls, deposits, add-ons, etc. (if any) still apply. As a new customer who subscribes to the 50Mbps TIME Fibre Business Internet plan, you get to enjoy RM20 off your monthly bill for 24 months. You are only eligible for one (1) promo at any time. Once submitted, you may not change or select other promos. Once your service has been activated, your broadband subscription fee will reflect the RM20 discount on your monthly bill. However, other charges such as voice calls, deposits, add-ons, etc. (if any) still apply. As a new customer who subscribes to the 100Mbps TIME Fibre Business Internet plan, you get to enjoy RM50 off your monthly bill for 24 months. What about upfront payments? Do I still need to pay GST for that? Please note that the deposit required of non-Malaysians is not subject to GST, therefore no rebate will be given for this item. How do I subscribe to TIME Fibre Business Internet? ii. Online via this link. Your MyKad (or passport if you are not Malaysian). If you wish to opt for the Auto Debit payment method, you are also required to submit or upload a copy of the front of your credit card for verification purposes. Stamp Duty - RM10 (mandatory). One-Month Advance Subscription Fee - subject to your subscribed plan. Special Building Requirement Fee - subject to your Building Management. Printed Bill – RM5 (optional). Deposit (foreign-registered company) – RM1,000 (refundable). For online subscription where the Auto Debit payment method is not selected, you are required to make this payment upon checkout. What other services do I get when I subscribe to TIME Fibre Business Internet? You get two (2) voice lines with free calls worth RM500. Can I change my plan at any time during my contract term? Yes, as long as it fits your needs. The table below illustrates the effect(s) of a plan modification, based on whether or not you opt for a new router to support the new speed you subscribe to. Do I get to retain my existing Value Added Services (VAS) if I modify my plan? Yes. All your existing VAS subscriptions will remain. Can I cancel my subscription during my contract term? Yes you can, however, a penalty of RM500 will be imposed for any termination during your contract term. How long does it take for TIME to cancel my subscription? You must provide TIME with one month’s notice of any intention to cancel your subscription by contacting our Customer Helpline at 1800 18 1818 or via email at cs@time.com.my. Installation and testing are expected to take at least 7 days (depending on your availability and building access approval). The installation process involves a site survey, ducting, piping, electrical work and equipment configuration. Can I appoint my own contractor for installation?  Installations can only be carried out by TIME-appointed installers, who are technically trained to provision the service according to our guidelines. We will supply the necessary equipment, which includes an optical network unit (ONU), a router and two cordless phones. Should you purchase and/or use your own equipment, we will not be able to assist with the maintenance and support for such equipment. Can I request TIME to configure my own router? How do I register for Self Care access? Step 2: Enter your MyKad / Passport / Business Registration Number (this will be your Username). Step 3: Enter your preferred password. Step 4: Read and accept the Terms & Conditions. Step 5: Click ‘Register’ to complete the process. Upon successful registration, you will be redirected to your Dashboard page. Your Username is your MyKad / Passport / Business Registration Number by default, and this cannot be changed. Your email address may be different from the one you have provided us. Please contact our Customer Helpline at 1800 18 1818 or email us at cs@time.com.my for further assistance. In Self Care, click the ‘Reset Now’ link. You will need to enter your Account Number and Username to receive a temporary password via email. Yes. Log in to Self Care and navigate to My Profile > Self Care Password. You have the option of selecting either a printed bill or a soft copy version, and this can be indicated in your application form. A service charge of RM5 per month is applicable for printed bills, and this will be included in your subscription fee. What charges will appear on my TIME bills? Your monthly bill will include your broadband subscription fee, voice service usage charges and your VAS subscription fees, if any. What types of calls can I make with my RM500 entitlement? Any type of call to any destination. Your utilisation will be based on the prevailing call rates. What is the validity period of my RM500 entitlement? It is valid for 12 months from your service activation date, after which, any unutilised balance will be forfeited. How do I keep track of my utilisation? You can do so on Self Care. Can I connect the phone lines provided by TIME to my fax and/or credit card terminal? What’s the warranty period for the equipment provided by TIME? Will I be liable for any charges if any of the equipment provided by TIME becomes faulty, damaged or lost during the contract period? All equipment provided by TIME will be covered by a limited warranty during the contract period. Any loss or damage due to negligence or abuse is not covered under the warranty, and any requests for replacements are chargeable.